When I acquired my 8×10 Deardorff camera, it came with a 14′′ Kodak lens, probably from the 60’s. Perfectly adequate, fairly normal, quite sharp. Not exactly a period lens for wetplate. 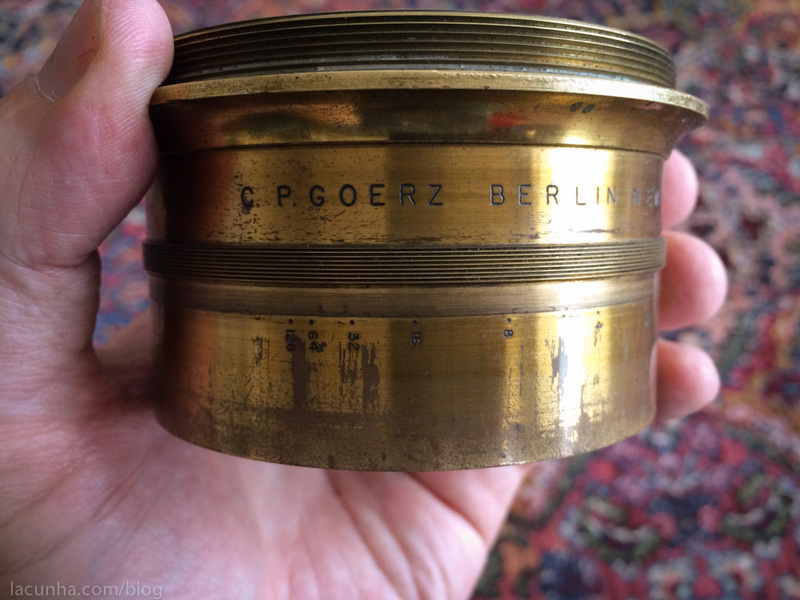 I also picked up this cool looking brass lens, a C.P. Goerz from Berlin. It was pretty beat up. The aperture ring did nothing, and the aperture itself was pretty bunged up. Stuck in an oval configuration. I’d written it off as an attractive paperweight. But then I got to thinking that these lenses are pretty simply constructed. I should be able to unscrew the whole thing, clean the elements, fix, or remove the aperture and put it back together. Try as I might, the front and rear elements were pretty frozen up. I didn’t want to use any penetrating oil to loosen them up since optics were involved. The only thing I could think of to use was a strap wrench. Thank you Amazon Prime. Two days later the lens was in pieces. Kind of like working on a car, the more you break things down, the more issues you run into. The aperture is being held in place with a threaded ring that has two notches directly across from each other. The intention is to use a spanner wrench to remove the ring. I didn’t have one, and no one I knew had one large enough. Nor could I find one online to buy. So, as usual, when I come across a mechanical problem to solve, I go to my neighbor Luke. I ask him if he can think of a way to loosen the retaining ring. He asks to hang on to the lens for a couple days and says he’ll come up with a solution. And boy did he. His solution was to make this beautiful custom tool. Basically an aluminum disk that fits into the lens, with a strip of spring steel embedded in it that fits into the notches. 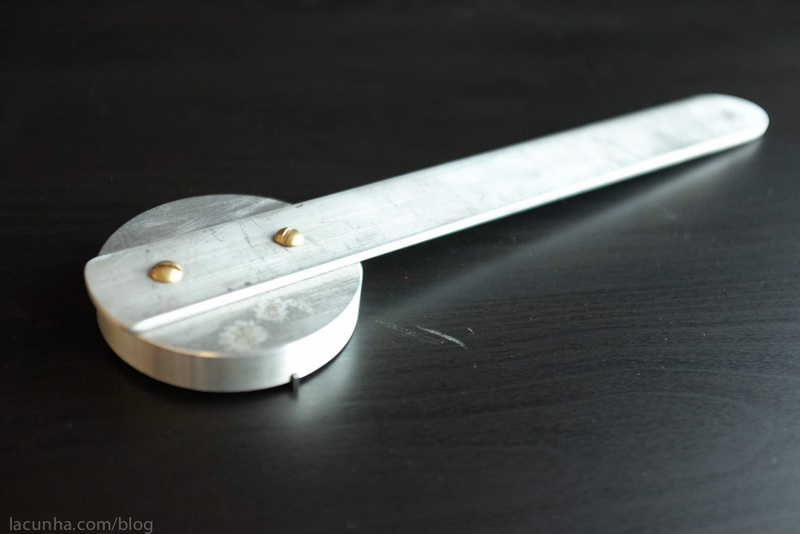 A wonderfully elegant solution for a one time use tool. 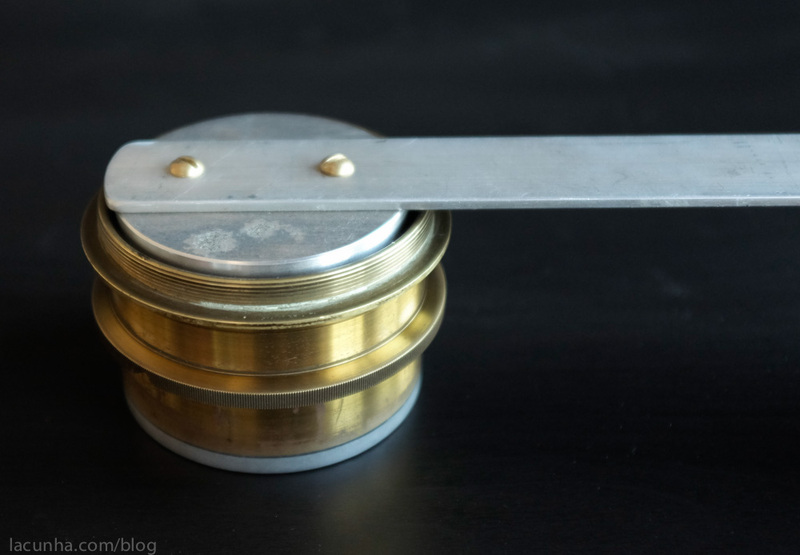 A few spins of the handle and the ring rotates up and out, allowing the aperture to fall into my hand. Luke put the love and care into this piece that he puts into everything he makes. You can see some of his handiwork here: http://omnitaskerdesign.blogspot.com Now I have a working, period lens that I can shoot wide open, and it looks beautiful on the camera. And this is how it got there.